Last week when author James Brown was interviewed on ABC TV about his new book Anzac’s Long Shadow, it drew a predictable response. From the RSL National President to politicians who were interviewed the prohibition on criticism of Anzac day was clear. It is sacrosanct, and the way it is now celebrated is ‘what the people want’. Nobody would entertain the idea of questioning the nation’s priorities in respect of this day, much less offer any leadership about it. Well, I hope that away from the glare of the cameras they take time to read this book, and to think about the many issues it raises. In a nutshell, Brown (a former army officer) argues that Australia spends too much time, money and emotion on the Anzac legend at the expense of current serving military personnel and our future defence needs. He points out that Australia is going to spend $325 million on WW1 commemorations, which is twice what the British will spend. Some of this will be spent on sporting events tagged with the Anzac brush, some on tours and cruises, some on more memorials in more places, bigger and better than what we already have, and $27 million of it is going to a company that’s going to manage events in Turkey. This is, as Brown says, a commemorative program so extravagant that it would make sultans swoon and pharaohs envious. It has become, he says without mincing words, a sort of military Halloween … with commemorative events at Gallipoli now more like an all-Australian jamboree. But this is not a churlish harangue. Brown is genuinely concerned about significant matters on which we are not spending taxpayer’s dollars. While no Anzac commemoration can be too lavish, defence spending is in a parlous state, underfunded by 25%. It is naïve, he says, to imagine both that there are no impending threats and that our preferred option of diplomacy will always protect us. By celebrating the courage of the hastily assembled armies that fought in World Wars 1 & 2, and by fostering the myth of the Aussie digger (braver and smarter than all other soldiers anywhere, lack of training notwithstanding) we are deluding ourselves if we imagine that similar unpreparedness can be victorious in future wars in our vicinity. And we’re not doing ourselves any favours by perpetrating the pseudo-democratic notion of contempt for the officers who lead them. * Tonight I heard ABC journalists from News 24 turn aside from the latest briefing about the missing Malaysian plane because a Malaysian journalist asked a question and was answered by the Minister in Malay. I’ve said it before and I’ll keep saying it, no journalist should be hired by any Australian media organisation unless they can speak an Asian language, and anyone deployed to work in Southeast Asia should be fluent in Bahasa. Even if you’re a committed pacifist and don’t share Brown’s concern about our readiness for defence, there are other reasons to be dubious about our national priorities. Brown writes in a calm and measured tone (he’s a Military Fellow at the Lowy Institute) but the reader can sense his outrage about the complacency with which Australia has slid into distorting the original meaning of Anzac and turning it into big business while at the same time neglecting the mental health needs of former soldiers. As it says in the media release that accompanied this book, ‘for the same cost as the Federal government’s centenary program, a mental health professional could be provided for every army combat unit for the next 30 years’. Brown doesn’t use the word ‘hypocrisy’, but I will: is that kind of hypocrisy what we Aussie citizens really want? I suspect not, it’s just that we haven’t thought about our priorities, or if we have, we’ve been too constrained by the aura of Anzac to say anything. What really unsettled me in reading this book was the chapter about the RSL. Of all our charities, the Returned Services League is the one that pulls most at the heartstrings, and we give generously to its appeals. Somewhat naïvely , I now realise, I have often dined at RSL Clubs in NSW when travelling, believing that I’m helping to support returned soldiers and their families. I did not know that while RSL Clubs may be decked out in military memorabilia on their walls, that they are separate from RSL charities. Less than one in twenty of its members have been in the military and fewer still have been to war. They are big business now, and they wield enormous political power as we saw when the previous government tried to introduce gambling reforms. 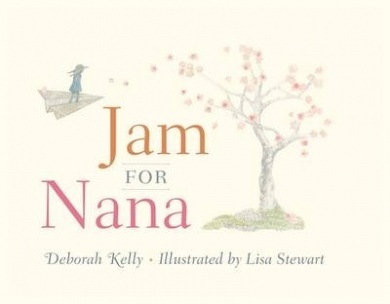 This is a brave book. Brown also tackles the ceremonial that we have come to expect from our politicians when a soldier dies on active service. Starting with the first casualty in Iraq, our political leaders have attended the funerals of each and every one. This expectation delivered a truly incongruous result when the Prime Minister, the defence minister and the chief of the defence forces rushed back to Australia – cancelling attendance at the Pacific Islands Forum, liaison with our old enemy Vietnam and a meeting with the US Secretary of State. All these long-planned events were important to our long-term strategic security. Is that really what we want? Is it really what the bereaved families want, when their loved one has given his life to improve our long-term strategic security? Subtitled The cost of our national obsession, James Brown’s forensic analysis of the financial, emotional and social costs of the Anzac industry is a book that should be read by our politicians, military leaders, business leaders, and media organisations. It also needs to be read by our school teachers who are besieged with new pictorial histories each year and intense pressure to devote more and more of the school curriculum to this one single event in our history. Teachers are unwittingly complicit in a national program of Anzac inculcation, with the children identified by the Anzac centenary commission as an ‘important conduit’. That’s not something that should happen by default. 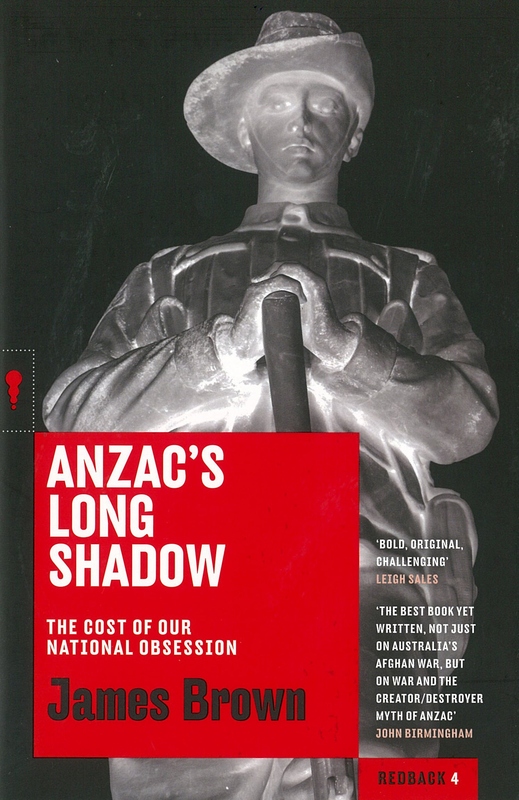 Anzac’s Long Shadow is part of the Redback series, published by Black Inc. Marketed as ‘books with bite, short books on big issues by leading Australian writers and thinkers’, this series looks like one to keep an eye on. Or from good bookshops everywhere.